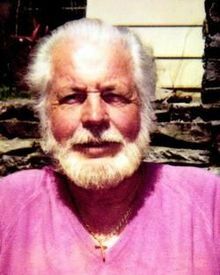 Glenn Edward Lamb Sr. 74, of Asheville, passed away on Friday, July 03, 2009 at the Keever Solace Center. He was the son of the late Glenn and Pauline Biddix Lamb. He was also preceded in death by sisters Hazel Lamb, Shirley Wills and Judy Villa a brother Ralph Lamb and a grandson Shawn Dodd. Mr. Lamb was born in McDowell County in 1935 and a resident of Buncombe County for the last 58 years. He worked as a residential painter for 50+ years. He will be greatly missed by all those that loved him. Survivors include his loving wife of 53 years Pansy Holt Lamb, of the home, daughters, Sybill Camby and husband Terry, Susan Rice and husband Truman, son, Glenn Edward Lamb Jr., sisters, Dorothy Rice and Betty Ann Walker, brothers, Sam and Bill Lamb, grandchildren, Terri Hughes, Kelly and Michael Lamb, Tiffany Cole, Kendra Camby and seven great-grandchildren. Funeral services will be held 2PM on Monday at Moore Funeral Home at Forest Lawn with the Rev. Arnold Vess officiating. Burial will follow in the park. The family will receive friends at the funeral home on Sunday from 6-8PM. To sign Mr. Lamb's online register book please visit www.moorefh.net.